San Diego Council Member Lorie Zapf Congratulating the San Diego Peninsula Lions on their 70th Anniversary of serving Point Loma and Ocean Beach! 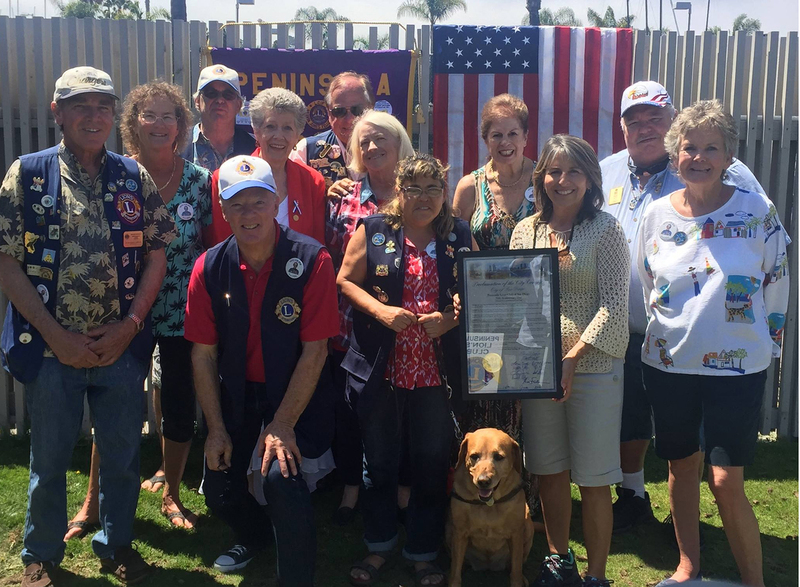 SD Peninsula Lions Club has been an enthusiastic sponsor of Eagle Scout Projects, the Point Loma Summer Concerts, the OB Rec Center Fall Carnival, the OB Christmas Parade and the Spaghetti Dinner Fund Raiser. We are strong supporters of White Cane Month - which is in October each year.